The Ultimate Fighting Championship (UFC) is the largest mixed martial arts promotion company in the world featuring most of the top-ranked fighters in the sport. Dana White serves as the president of the UFC. 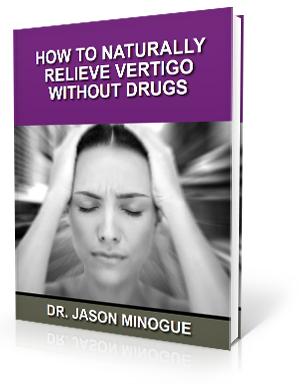 White suffers from Meniere’s disease, a disabling inner-ear disorder that can cause vertigo (spinning sensation), ringing (tinnitus) and pressure in the ear and fluctuating hearing loss. Dana White tells USA Today, “This thing is indescribable. People can’t deal with it. It drops you. It puts you down. You can’t open your eyes for hours or sometimes days. You have to keep your eyes closed. Every time you open your eyes, you throw up. Dana White like many others throughout the world are suffering with Ménière’s disease and have found little to no hope of recovery. A recent case study revealed a patient receiving specific upper cervical chiropractic care based on the National Upper Cervical Chiropractic Association (NUCCA) technique protocol. The upper cervical spine is located at the top of neck and houses the brainstem. A misalignment in this important area could create the symptoms those with Ménière’s disease are experiencing. After the first adjustment, the patient noted a reduction in their ringing of the ears and after a couple weeks of care the patent demonstrated a huge improvement in all symptoms of Ménière’s disease. Just because Meniere’s can put people down… it doesn’t mean they are out. There is hope. 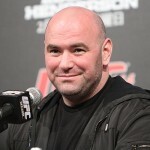 Morgan J. USA TODAY: UFC boss Dana White hopes surgery relieves Meniere’s disease. http://mmajunkie.com/2013/01/usa-today-ufc-boss-dana-white-hopes-surgery-relieves-menieres-disease (accessed 01 July 2015). Jones M, Salminen B. Meniere’s Disease Symptomatology Resolution with Specific Upper Cervical Care. J. Upper Cervical Chiropractic Research – 2012; 2012(1): 31-39.